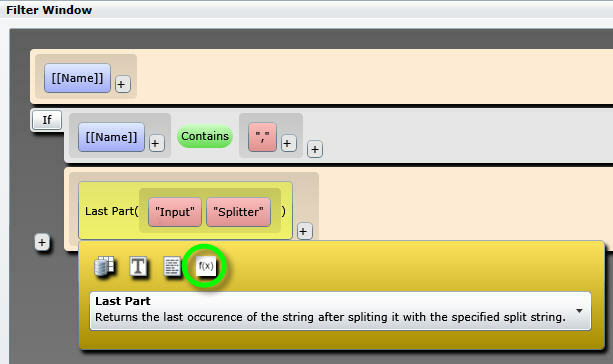 The functions ‘Last part’ and ‘First part’ return the last/first part of a given string after splitting it with the specified split string. 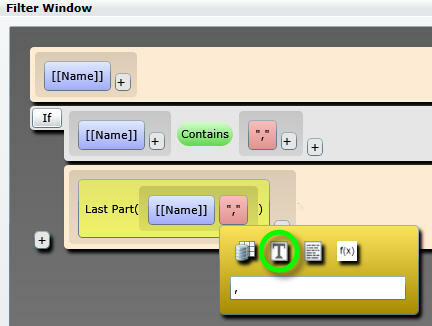 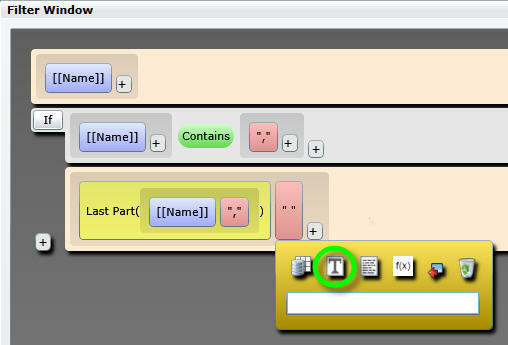 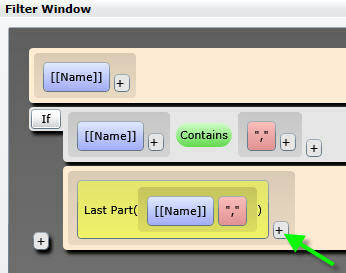 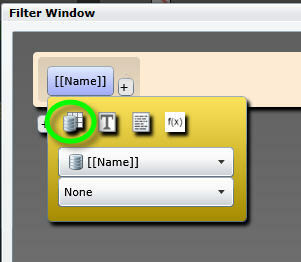 Open the assignment window (e.g. 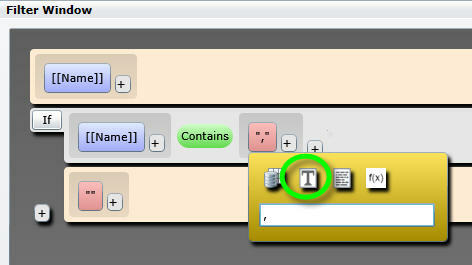 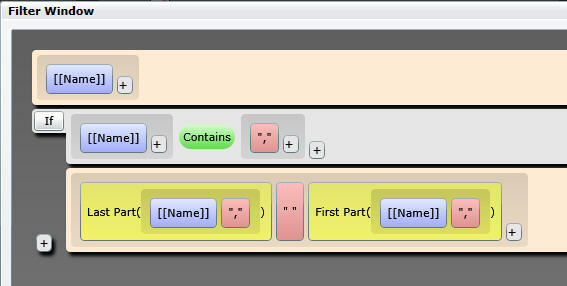 of a Set or a text variable) to use these functions. 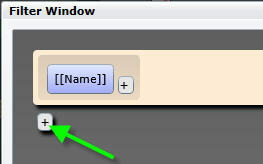 Click the plus icon to add a condition.